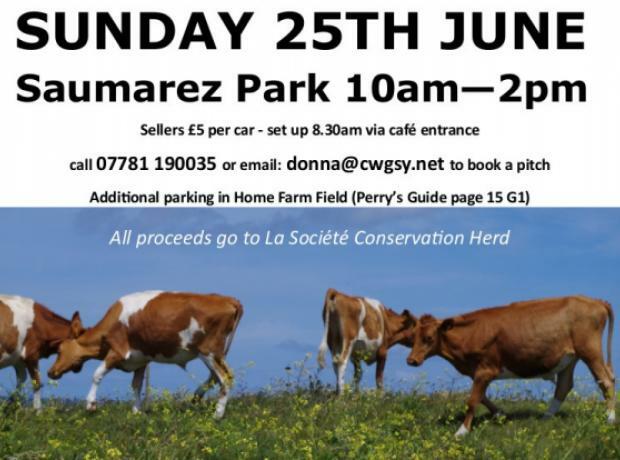 Please join La Société Conservation Herd for their car boot sale on Sunday 10th July between 10am and 2pm at Saumarez Park. 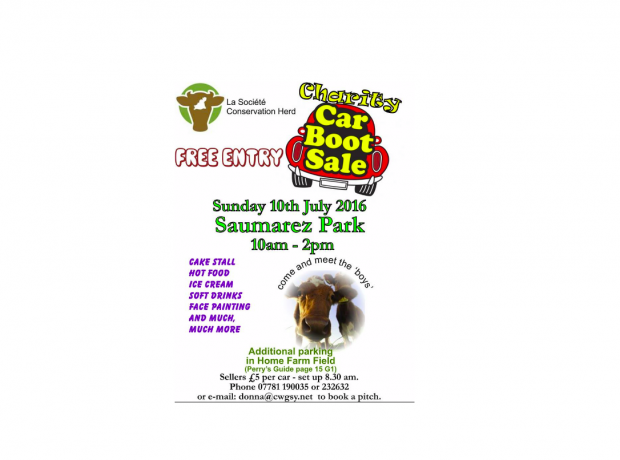 Sellers are asked to set up at 8.30am at £5 per car in aid of La Société Conservation Herd. The GSPCA will be there with a stand to raise funds for the Animal Shelter and the many animals in our care. La Société Conservation Herd to help raise funds for their work will have plenty to do and on sale from cakes to face painting. Additional parking will be provided at Home Farm and there is no charge to buyers, supporters and visitors.